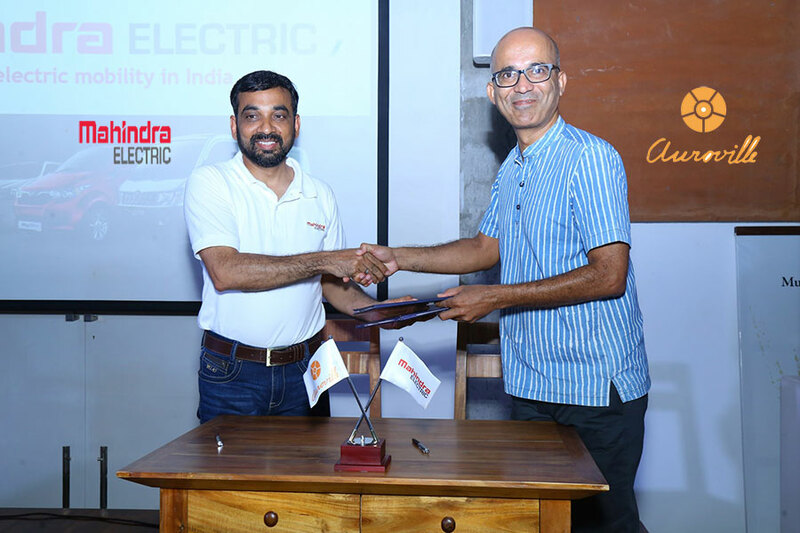 On the occasion of World Environment Day, Mahindra Electric, part of the USD 20.7 billion Mahindra Group, today inked a memorandum of understanding (MoU) with Auroville, an experimental township established in 1968 in Tamil Nadu, to pilot India’s first integrated sustainable mobility ecosystem for a community. This unique ecosystem will be an extension to Auroville’s several e-mobility initiatives over the last few decades. This is aligned with its endeavour to encourage lifestyle choices in quiet mobility, optimal sharing of resources and reduced carbon footprint, hop-on-hop-off shuttles and smart parking. Under the aegis of the MoU, the two parties will work with IISc (Indian Institute of Science), Puducherry Smart City Development Limited, GoGreen BOV, and numerous initiatives at Auroville itself to develop a holistic ecosystem encompassing Mahindra’s electric vehicles, smart parking systems, charging infrastructure and its software integration platform NEMO. It also aims to enable mobility models like ride sharing, ride hailing, self-drive rentals etc. The Town Planner, PSCDL, supported by the French Government, will also play a key role in this initiative. Mahindra Electric also unveiled its energy storage solution which will play a key role in enabling the ecosystem including charging infrastructure, EV parking, and an EV Support Centre. It will also help harness renewable power, thus becoming an end – to – end green solution. On World Environment Day, we at Mahindra are happy to join hands with Auroville, IISc and other partners for India’s first initiative to develop an integrated sustainable mobility ecosystem for a community. Mahindra has been working for close to a decade in developing the electric eco-system in India. The evolution of a common platform integrating mobility, energy storage and charging for an entire community is an important step to ensure quick scalability in future. There is great synergy between Auroville’s vision to create a green mobility system and our initiatives to help more people adopt EV technology. We are confident that Mahindra Electric’s NEMO, will prove to be the most suitable platform to develop a sustainable mobility ecosystem for any community.